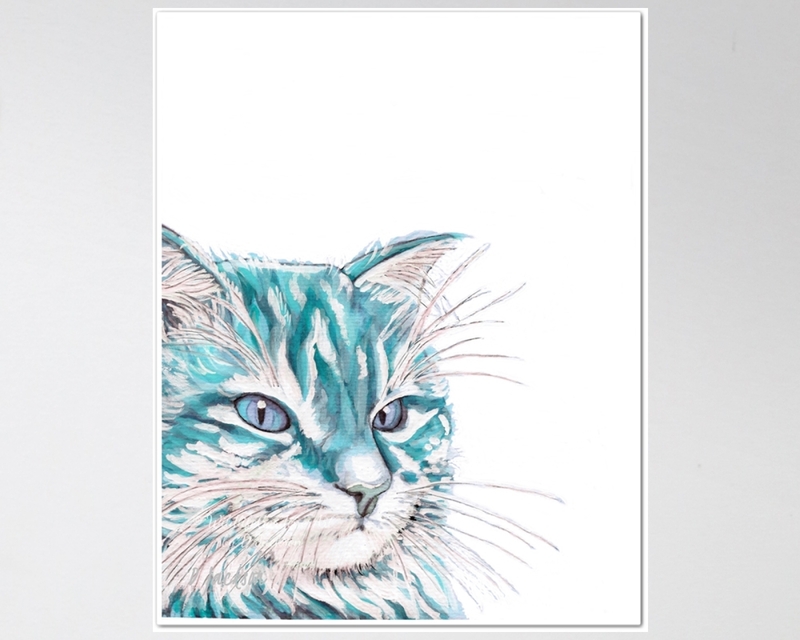 Contemporary Watercolor Aqua Blue Cat Archival Art Print from my original painting. 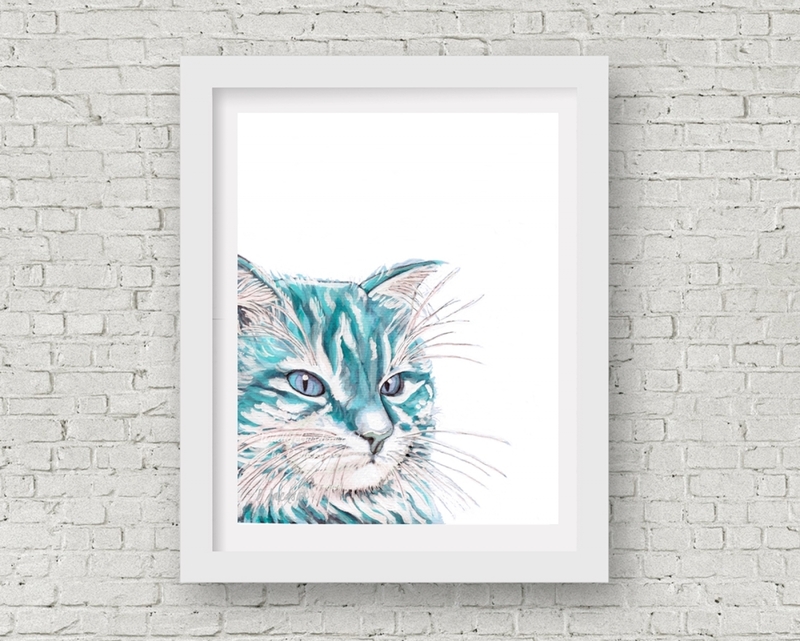 This modern cat print in tones of Aqua and blue, cool as the cat that inspired it, would be a great addition to many decors and spaces - from urban farmhouse to modern rustic, dorm room art to nursery decor. Great gift for cat owners and lovers.